How to Remove Find My iPhone from iCloud - 4 Ways! How to Remove Find My iPhone from iCloud – 4 Ways! If you’re no longer using an iOS device, or you acquired one that has “Find My iPhone” enabled from a friend, you or your friend can remove Find My iPhone from the iOS device via iCloud.com. However, if you acquired an iOS device with activation lock, and you can reach the previous owner, there are some other ways to remove Find My iPhone other than iCloud. Therefore, this post is meant for those who want clear-cut steps to remove Find My iPhone from iCloud, and those who need solutions to disable activation lock on the secondhand iPhones because they can’t reach the previous owner of the device. If you still remember your Apple ID password, or you were able to contact the previous owner of the device, you can advise him/her to follow these steps to remove Find My iPhone from iCloud. Step 1. Log in to www.iCloud.com with your Apple ID and password. Step 2. Go to Find My iPhone. Step 3. Select “All Devices” at the top of the screen. Step 4. Select the device you want to remove from iCloud. Step 5. Click “Erase [device]” if you want to erase the device. Step 6. Click “Remove from Account”. Once you’ve completed this process, ensure that the device is connected to the internet. Then, turn off the device and turn it on again to begin the setup process. When you buy an activated iPhone with the previous owner's iCloud account still associated to the device, you may not be able to fully utilize this device until you have removed the iCloud account from the iOS device. 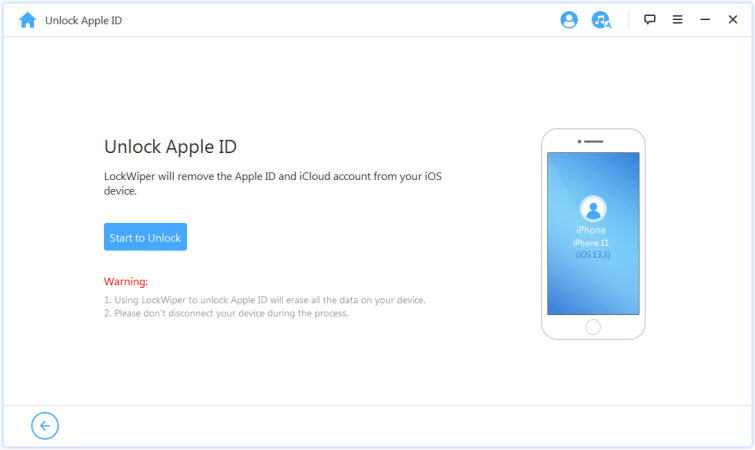 iMyFone LockWiper can help you remove iCloud accounts from activated iPhone even if Find My iPhone is enabled. Therefore, you can use LockWiper to remove Find My iPhone from iCloud without Apple ID password. 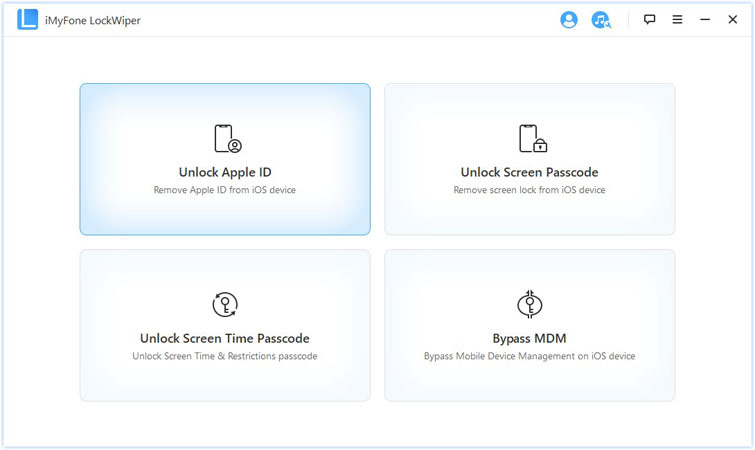 This tool offers several other iPhone/iCloud unlocking features, and activation lock removal is one of them. Remove Find My iPhone from the iCloud account without a password. Bypass iCloud account or Apple ID to unlock iPhone, iPad or iPod. Removes all iPhone/iPad locks in less than 5 minutes. Gives you the opportunity to set up your iPhone with new Apple ID and password after removing the previous owner’s account. Highly recommended by thousands of users, tech authorities, and software review sites. Step 1. Download, install and launch iMyFone LockWiper on your Mac or Windows computer, and connect your iPhone/iPad to the computer using a USB cable. Step 2. Select "Unlock Apple ID" mode from the Home interface to remove the Find My iPhone. Step 3. Now, click the "Start to Unlock" button to remove Find My iPhone from your device. Step 4. 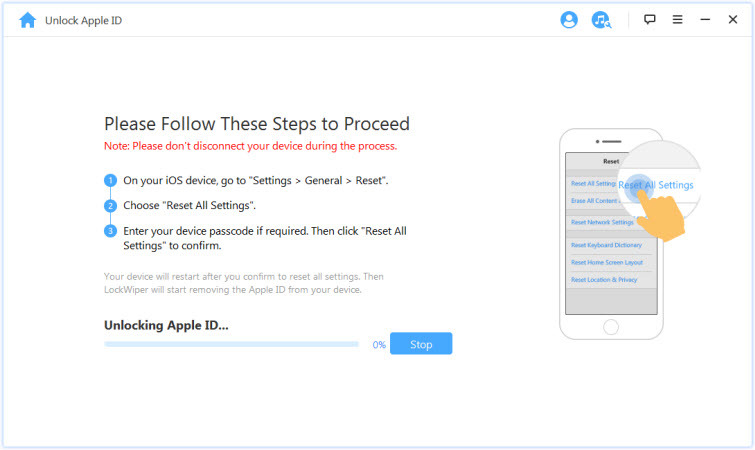 You will need to reset all settings on your iOS device: go to “Settings > General > Reset All Settings”. There are other ways to remove Find My iPhone from an iOS device; we shall be looking at two options: using a paid service and erasing all contents and settings. The iPhone IMEI is a service that helps to bypass Activation locks on iPhone. Hence, if you cannot reach the previous owner of the device, you can use this paid online service to remove Find My iPhone (activation lock) from your iOS device. Step 1. Log on to www.iphoneimei.net and select “unlock iCloud”. Step 2. Get your iPhone IMEI number. If your iPhone is activated: you can dial *#06# to get your iPhone IMEI number, or you can go to Settings > General > About > iPhone IMEI number. If your iPhone is not activated: look for a little “i” icon on the activation screen and tap the button to get your IMEI number. Step 3. In the boxes provided, enter your iPhone IMEI number, select your iPhone model, and click “Unlock now”. Step 4. After making your payment, you’ll receive a confirmation email, and it will take 3 to 6 working days for Find My iPhone to be removed. Warning: we cannot guarantee that if this way is real helpful, please do as much research as you can before using this service. Step 1. Go to “Settings > General > Reset > Erase All Content and Settings”. Step 2. Click the “Erase Now” tab and enter your iPhone Passcode. Your iPhone contents and settings will be erased including Find My iPhone and Activation Lock. This post has touched all you need to remove Find My iPhone via iCloud, Settings, app, paid online service, or iCloud account removal software. However, the best solution is iMyFone LockWiper considering its numerous benefits and features. So, get a copy of LockWiper now!